Wizard Quest is a 13,000-square-foot fantasy labyrinth that will challenge your imagination. It is essentially a live-action video game where a team effort is necessary in order to win. You will encounter secret passages, hidden entrances, a confusing forest and kelp maze, and bizarre creatures as you attempt to free the Wizards by solving the riddles of the dragons. There is no other attraction like this in the entire world! 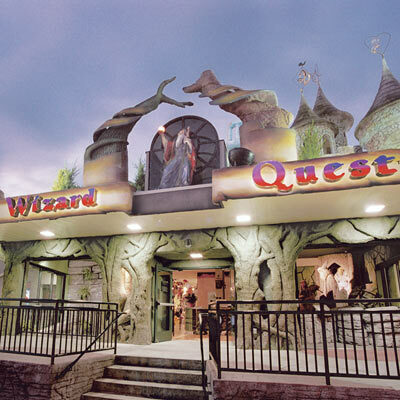 Wizard Quest is an indoor attraction, making it a perfect destination any time of year. Be sure to check below, as hours change seasonally. As this interactive scavenger hunt is designed for groups, don’t forget to bring your friends! Children 15 and younger must be accompanied by an adult.